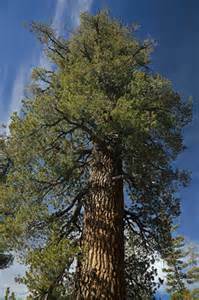 This tree was named by the explorer David Douglas on his journey up the west coast of North America in 1831. They are mainly found through the cascades from northern California all the way up into Canada and, as far-east as, Montana. Western White Pines are well suited for growing in valleys with rocky but moist soils. 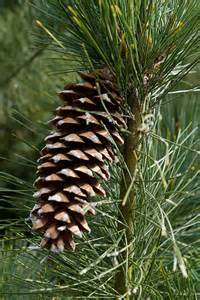 The cones of a White Pine are cylindrical in shape and are 4 to 6 inches long and the seeds are around 5 mm long and need several weeks of moist and cool weather to start their germination. The needles consist of 5- 1 ½ to 4 inch long and are bluish green with a white stripe beneath them. The growth habit of the Western White Pine is pyramidal in shape reaching around 60 feet tall and 20 feet in width.